AR is here to stay. The question is no longer “should I use AR at my business?” but “what kind of AR will work best?” The answer to that is different for everyone. Augmented reality (or AR) is an increasingly hot topic at the moment, thanks to the rapid pace of new technologies and the fact that we all carry AR-ready devices around in the form of our smartphones. There was a time when AR software was sluggish, unintuitive and quite frankly ugly to look at. People didn’t use it because they didn’t like it. But those days are over, as is evidenced by the exciting new technologies that are popping up all over the world. Google’s new Pixel Buds allow users to translate into different languages on the fly just like the Babel fish in Douglas Adams’ Hitchhiker’s Guide to the Galaxy. Pokémon Go had more first week downloads from the Apple App Store than any other app in history and still has 65 million monthly active users. So, it’s pretty clear, then, that augmented reality isn’t some futuristic new technology but rather one that’s in the here and now and just waiting to take over. In fact, applied correctly it has a number of different use cases which can drastically improve your business and its overall productivity and profitability. Here are just five practical ways that you can do just that. One of the most obvious ways that AR can be used is hinted at by Pokémon Go. Many physical businesses witnessed a surge in sales when the app came out, only to discover a few days later that they were a designated PokéStop and that people were stopping by to play the game and making purchases while they were at it. I’m not saying that you need to use games, though. Physical shops can use augmented reality to enhance the in-store experience with additional content. They could add augmented reality assistants to provide a more personalized shopping experience without hiring extra staff, or they could hide virtual Easter eggs and create treasure hunts as part of seasonal promotions. Brands have always been big on creating experiential events in which people gather at a real world location to interact with them. At its most basic level, we’re talking about having a stand at an industry event, while more advanced experiential events are often turned into viral videos, like the “Push Button to Add Drama” advertisement for TNT. Augmented reality allows brands to take the idea behind experiential events and to deploy them on mass to anyone who downloads their AR app. We’re yet to see a real breakout success so far, but that doesn’t mean that it won’t happen if you nail the creative and the storytelling. In the meantime, there’s no reason why you can’t find a way to deliver cool content that reflects your brand. Imagine if Red Bull allowed you to see tiny parkour runners racing around your living room. Not all products sell themselves. In today’s service-led economy, more and more companies are branching out into complicated products that are difficult to explain and therefore difficult to sell. Augmented reality could provide a way to solve this quandary by showing these solutions in a way that people can understand, a little bit like a more engaging version of the classic explainer video. AR comes in particularly useful if you have a physical product because it allows you to “show” it to people in a setting that’s familiar to them. Still, if you create a software product or offer a service, there’s no reason why you can’t find a clever way to make AR work for you. This one’s a particular favorite amongst fashion brands and other physical goods manufacturers because it allows people to look at their products in an environment that’s familiar to them. It can add an entirely new dimension to online shopping and help to create an emotional connection between consumers and your products. Fashion brands can allow people to use AR to virtually try on clothes. Game developers can bring their characters to life in consumers’ living rooms. Drinks manufacturers can allow you to pour a virtual cocktail. Holiday companies can even give you a taste of the different destinations that they offer. AR has the potential to completely change the way that we look at training and education because it allows us to simulate real world scenarios. 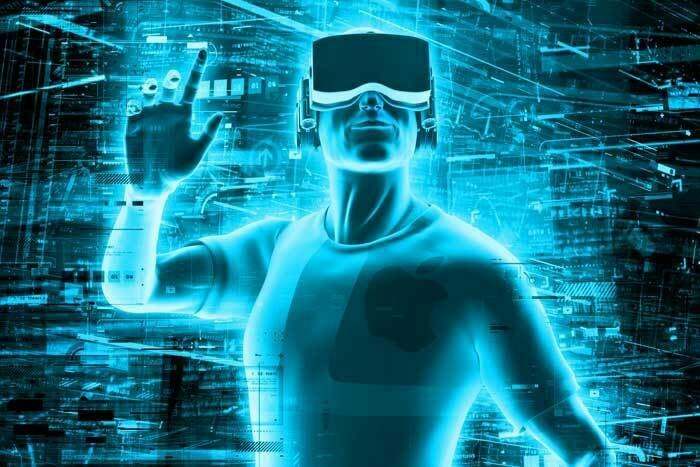 Unlike virtual reality, its sister technology which relies on the use of a headset, AR typically requires no additional technology other than a smartphone, something which your employees already have access to. One of the reasons why AR is so successful when it comes to training is that we all learn in different ways. AR engages us by the senses and provides an alternative to learning by rote or being bored to death by Powerpoint, and anything that helps employees to perform at their best is good news for all of us. The great thing about the explosion in augmented reality is that it’s not as difficult as it once was to find decent developers who are prepared to work with the technology. Niche companies are popping up all of the time that cater to specific types of augmented reality application or certain industries, and the increase in competition is also helping to drive prices down. At the same time, consumers are getting more and more used to using augmented and virtual reality tools, which means that it’s easier to convince people to give the technology a chance. As with most new technologies, the biggest challenge is not to find the right AR provider but rather to encourage adoption amongst employees or the general public. The good news is that AR is here to stay, and technologies are getting better and better as time goes on and more and more companies join the thriving marketplace. The question changes from “should I use AR at my business?” to “what kind of AR will work best?” The answer to that is different for everyone.